On April 4, ice still covered almost all of Walden Pond, except for an open strip of water along the edge. The ice continued to melt over the next five days, still covering most of the pond. By April 11, the ice covered only a small percentage of the pond. After two more days, the pond was completely ice-free. Ice-out has long been a favorite sign of spring, a way to mark the transition from winter ice skating and ice fishing to summer swimming and boating. Concord is home of one of the most iconic of these sentinels of spring— the date of ice-out on Walden Pond. Henry David Thoreau recorded the ice-out times at Walden Pond from 1846 to 1860, and modern residents have continued this tradition. Walden Pond is a sensitive indicator of seasonal temperature; ice-out occurs earlier in springs following warm winters and later in springs following cold winters. According to the Blue Hill Observatory, the country’s longest-running meteorological observatory, the average winter temperature of 2015 was the coldest in the Boston area since 1934, and this winter broke the record for the most snowfall. This year ice-out at Walden occurred on April 11—that is, on that date the pond was 90% ice free—the latest ice-out date in the past 20 years. According to observations made by naturalist Steve Carlin, and posted on the Journey North website, from 1995 to 2014 ice-out at Walden Pond has varied from as early as January 29 in the record-breaking warm winter of 2012 to as late as April 5 in 2005 and April 4 in 2014. 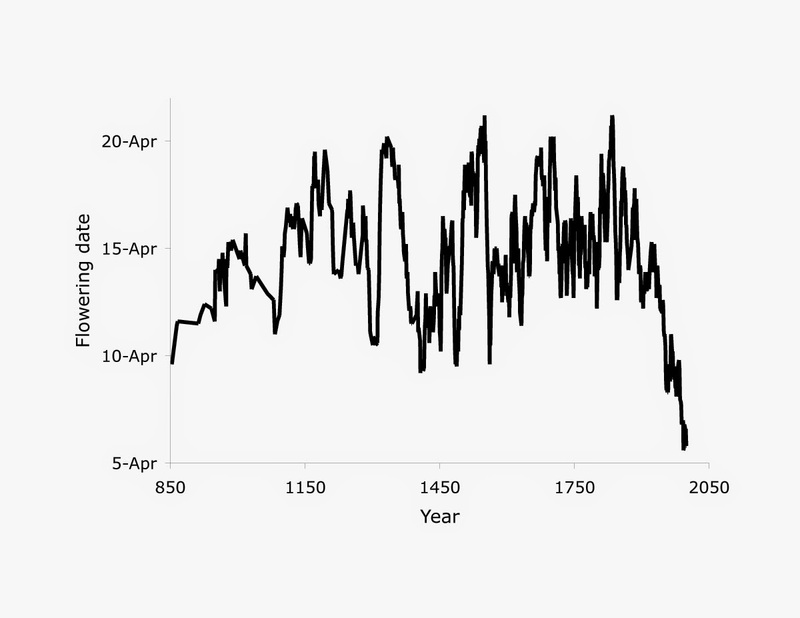 In Thoreau’s time, ice-out averaged about two weeks later than in recent decades, varying from March 15 to April 18 and reflecting the colder climate of his time. So although Thoreau might not have been surprised by this year’s ice-out date of April 11, present day Concordians should regard this as an unusually late year for our modern era. Concord’s cold winter of 2015 was made even more exceptional by how sharply it contrasted with the warm winter throughout the rest of the world this year. The National Oceanic and Atmospheric Association announced last month that the global average winter temperature in 2015 was the warmest since records began in 1880. But as we experienced first hand in eastern Massachusetts, a warm globe does not mean it is warm everywhere. The northeastern United States was among the only places in the world to experience a colder-than-average winter in 2015. The rest of the Northern Hemisphere got an exceptionally early spring this year, as expected in our warming world. Meanwhile, we have a chance to enjoy our much rarer event, a spring reminiscent of the colder springs of Thoreau’s Walden and Concord. Climate change biologists want to understand the factors that determine when trees, shrubs, and vines leaf out in the spring. However, it is difficult to conduct leaf-out experiments on these plants, in part because individuals can be very large and difficult to maneuver. The Primack Lab and other researchers have recently employed a new method using dormant twigs as representatives of wild plants in order to overcome this problem and predict the future impacts of climate change. Along with Annette Menzel and Julia Laube from the Technical University of Munich, we recently published a Viewpoint article in Annals of Botany describing this new experimental method. The method involves cutting dormant twigs from wild trees, shrubs, and vines, at a single date or multiple dates, putting the twigs in water in controlled environments and monitoring leaf-out, flowering, or other events. Experiments using this method have already shown that trees and shrubs rely mainly on a mixture of measuring the length of the winter and spring warming to determine their leaf-out times. 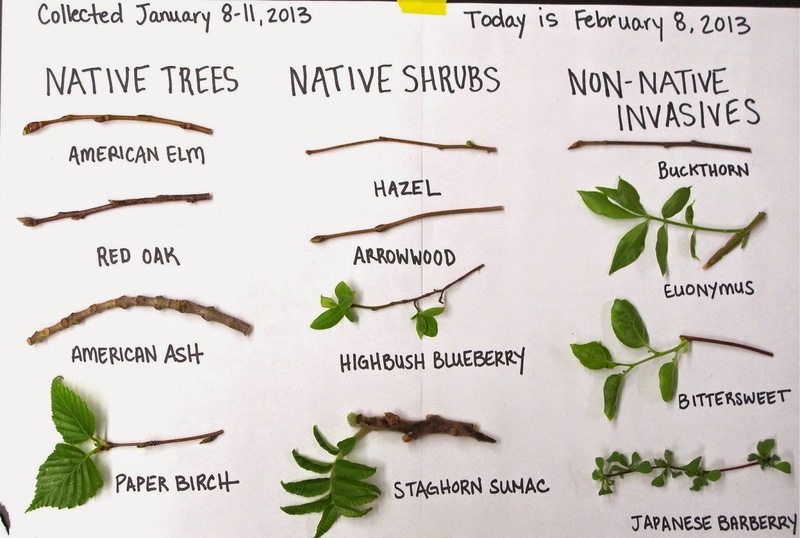 Also, non-native invasive shrubs are much faster to leaf out in a very early spring than native trees and shrubs, which could give them the advantage of an extended growing season in the future. 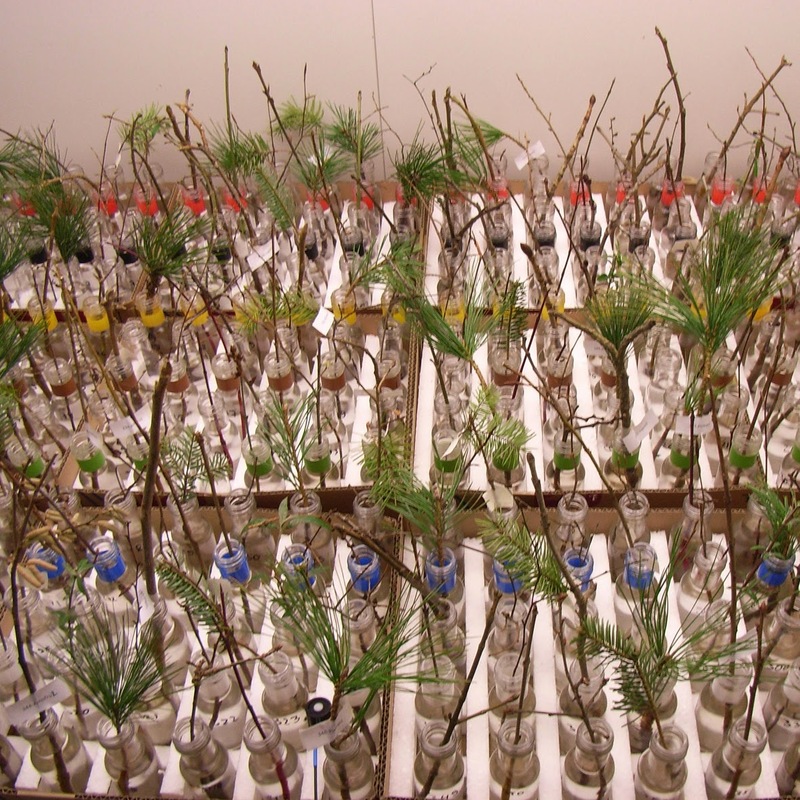 Read the full article, “From observations to experiments in phenology research: investigating climate change impacts on trees and shrubs using dormant twigs” HERE. The flowering of cherry trees is one of the most beautiful sights in the spring. Cherry trees are also extremely sensitive to temperature, flowering earlier in warm years and later in cold years. The Japanese people greatly enjoy their annual cherry blossom festival, taking time off from work, walking under the trees, and meeting friends for outdoor parties. In Tokyo, a warming climate has caused the blooming of the cherry trees to gradually change over the last century from mid-April to late March. The oldest records of cherry blossom flowering come from Kyoto where the festival has been celebrated for over 1200 years. There have been long periods of earlier flowering and later flowering associated with global changes in temperature. Starting about 150 years ago, the cherry trees have been flowering ever earlier due to a combination of urbanization in Kyoto (more buildings, more pavement and streets, and fewer trees) and warming temperatures. Over recent decades, cherry trees in Kyoto have been flowering earlier than they ever have in the past. The effect of urbanization on cherry trees is illustrated by the city of Osaka. Using 80 observation points around the city, researchers show that trees flower earliest in the center of the city where it is warmest due to urbanization. To read more about cherry blossoms as indicators of climate change, see our articles in Biological Conservation and Arnoldia. Primack Lab at the Pierce School! Last month, Caitlin McDonough and I had the pleasure of presenting the Primack Lab's research to the 6th graders of the Pierce School in Brookline, MA! As part of their interdisciplinary climate change unit, we shared with Pierce students how Henry David Thoreau's field notes help us to see that climate change causes plants to flower and leaf out earlier now than in the 1800's. We also had a lively discussion about how to separate the effects of habitat loss and climate change on species loss in Concord, MA and Acadia, ME. The 6th graders read the lab blog prior to our visit, and came prepared with great questions. Thank you for having us, Pierce school, and we hope to see you again next year!